Love your Wilier? 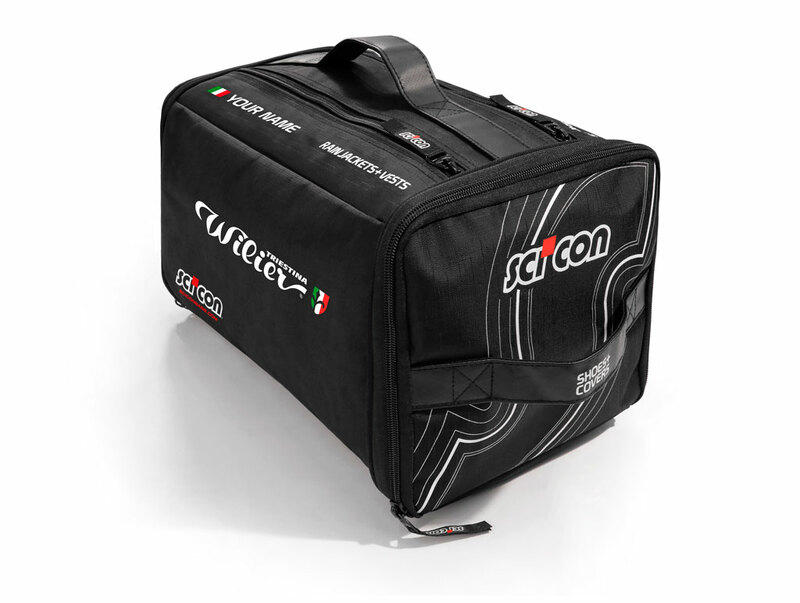 You're also going to love the Wilier Triestina edition Scicon race rain bag. The Wilier Edition race rain bag has several compartments to it which are all labelled and contain the important pieces of clothing a rider needs in the wet. You can even personalize it with your name and flag! The difference to other cycling kit bags is this one has a compartment for every item you would need. This race rain bag has space for your shoes and covers, warmers (arm and leg), gloves, helmet, jersey, jacket. Look like a pro as you pull your rain jacket out of this bag while your buddies are fumbling with their old rucksacks. WANT CUSTOMIZE YOUR RACE RAIN BAG WITH YOUR NAME AND FLAG?